Abortion is an extremely difficult decision. It is a decision for each individual woman to make and a decision that she alone must live with. But if she should believe that this impossible choice must be made she deserves to have the privacy, dignity, and the safety of a place with qualified and compassionate professionals there to help her. And while this impossible choice is difficult, in this country it is still a legal medical procedure. Planned Parenthood serves more than 1/3 of all Title X patients. This bill would end up defunding all of these services, and arguably from women who need and use them the most. According to the Guttmacher Institute, 82% of the clients in Georgia, for example, who use this service for contraception are at or below the poverty level. This can be seen in state after state. Without PP and Title X most of these women would have little or no access to birth control or even general health care. And just for some frame of reference here, in 2008, Title X-supported centers in the state of Georgia provided birth control care to more than 147,300 women. Planned Parenthood is the Nation’s leading sexual and reproductive health care provider and advocate with more than 800 health centers throughout the U.S. More than 3 Million men and women use the Planned Parenthood facilities every year. If you listened only to the propaganda spread by the GOP or their medium network and echo chamber, then you would be misinformed and believe that Planned Parenthood is just a big abortion clinic. This could not be further from the truth. In actuality, only 3% of all Planned Parenthood services are abortions. Obviously in addition to all of this, yes it is true, PP also provides abortions. Now we can have the age-old debate on whether or not you agree with abortion from a moral standpoint but the fact is in this country abortion is legal. It seems so ironic to me that the GOP is completely against abortion on the one hand while on the other completely against family planning bills. Has it not occurred to these Republicans that maybe actually dealing with birth control would lower the number of abortions? And before you make the argument that Title X should be taken away because you don’t want federal funds paying for abortions, let me remind you that it’s actually completely illegal to use federal funds to pay for abortions…it has been illegal for decades. This has nothing to do with saving budget money. It seems to be far more about trying to turn back the clock to yesteryear. It seems there’s a considerable portion of the GOP who wants to turn it back on abortion and birth control and access to those very reproductive services that have improved and saved countless lives. The impact of shutting down these clinics will be far broader than abortion and birth control. These women will also lose their abilities to get pap tests, breast exams, and for some, any general medical exams. But even worse, without these clinics they won’t get screenings for anemia, diabetes, or referrals to other important health systems for possible life saving procedures. 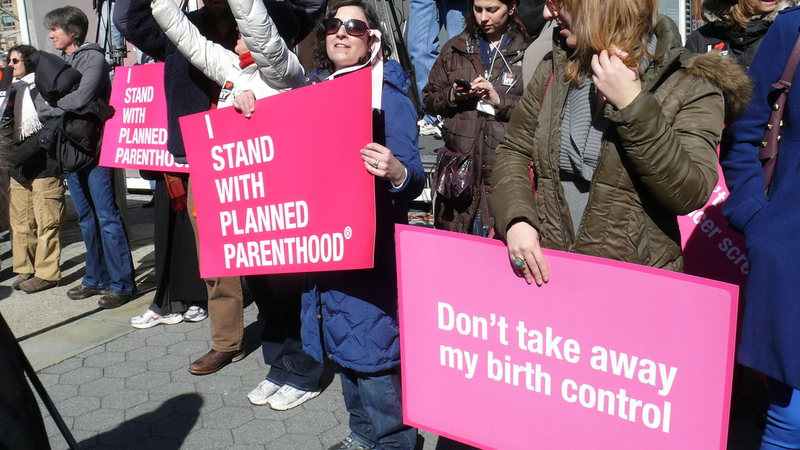 Denying poor women cancer screenings at their local PP clinic is nothing short of Misogyny. There is a very real concern here that the many gains achieved in the past are at risk. It’s as important today, maybe more so, as it was 100 years ago for women to continue to move the agenda forward. Otherwise overnight, in the blink of an eye one of the most reliable, safest, and most critical social services will have vanished.